• Casimba Casino Review - The King Of Modern Casinos? You probably know that Simba was the star of the animated movie ‘The Lion King’, but you may be less familiar with Casimba Casino. This lion-themed site was launched in 2017 and is aiming to become king of the Casinos. 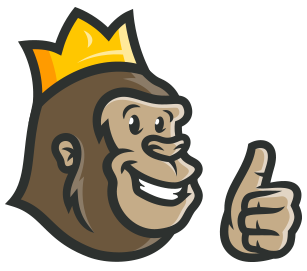 We have our own king of the jungle in the form of the Casino Gorilla, and he will be casting his beady eyes over this new player on the global casino scene. Casimba certainly makes a good first impression as the site design looks very appealing. Now it’s up to the Casino Gorilla to give his report and find out whether those good first impressions last. 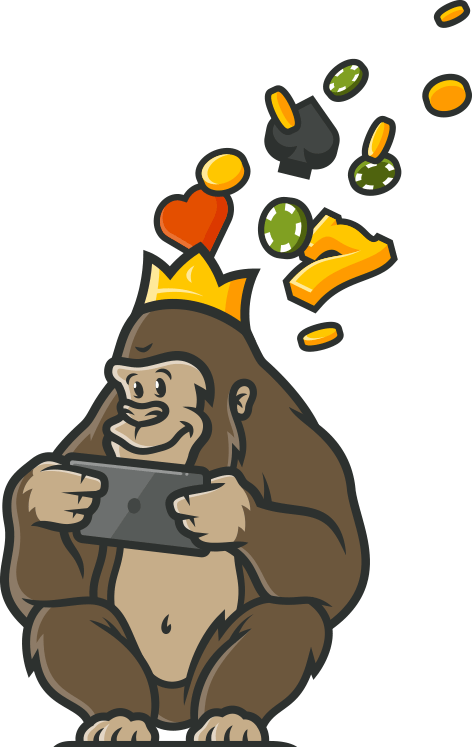 The Casino Gorilla is no dummy, and he knows that a lot of you readers skip straight down to the Welcome Bonus section to see what’s on offer. Well, now that you’re here let’s see what you can get when you agree to sign up with the lion. The first time the Casino Gorilla caught sight of this bonus he just about fell out of his chair. A total bonus of up to £6,500? With an initial deposit matched by 200% up to £5,000? That is quite a special sounding deal. Usually when you see a 200% matching bonus offer it is capped at a much smaller amount like £100 or £200. Plus you get your bonus spins and those Loyalty Points. Can this offer really be as good as it sounds? This is what it says about wagering requirements in the general T&Cs: ‘Bonus funds are separate to Cash funds, and are subject to 35x wagering the total bonus, cash & bonus spins.’ As far as the Casino Gorilla can make out this means you need to wager the deposit AND bonus 35 times. If you maxed out the first deposit you would need to bet over a quarter of a million pounds to release it: Not Good! 18+. New players only. 1 bonus offer per player. Min. deposit £20. Max. bonus bet is £5. Bonus spins on selected games only and must be used within 72 hours. Bonus funds expire in 30 days, unused bonus funds will be removed. Bonus funds are 200% match up to £500 on your 1st deposit, 25% match up to £1000 on your 2nd deposit, and 50% match up to £500 on your 3rd deposit. Bonus funds are separate to Cash funds, and are subject to 35x wagering the total bonus, cash & bonus spins. We know that bonus spins are always a good thing and with Casimba you get a lot of them. There are 125 available in total over the three deposit bonuses. These bonus spins can be used on any NetEnt game, and that includes favourites like Starburst and Gonzo’s Quest. Be aware that if you don’t complete the x35 wagering requirement on bonus spin winnings within 24 hours then your winnings from them will be capped at £100. All bonus spins will expire after a maximum of 30 days, so don’t wait too long before using them. There is no requirement to enter a bonus code in order to claim the very generous (if difficult to withdraw) welcome bonus offer from Casimba Casino. Just make your qualifying deposit of at least £20 and the 200% bonus will land in your account. A 200% bonus is always worth grabbing, even if those wagering requirements are very tough. At the very least you will get to try lots of different games on the site since you will effectively have tripled your deposit before you even start playing. Bonus codes are not required to claim any part of the deposit bonus to welcome you to this casino. Live dealer casino has quickly become a must-have for serious online casinos. This is because they offer the perfect combination between the ease of gambling online with the atmosphere of a physical casino. Go to the Live Dealer section of Casimba Casino and you will find some high-quality live dealer options from Evolution Gaming. Evolution could well make the claim that they are the kings of live casino, and once you try out their tables you will see why. At Casimba you will find Roulette, Blackjack, Hold ‘Em, Caribbean Stud Poker, 3 Card Poker, Football Studio, Baccarat and Dream Catcher games. That will be more than enough to keep even the most demanding live casino fan happy and entertained. If you enjoy playing casino games on the move then Casimba Casino could have been designed just for you. The layout of this site makes it perfectly adapted for mobile gaming. The games themselves have been created with one eye on the mobile market, as this is where the majority of people play these days. Apps are available to download the casino for either Apple or Android devices. If you prefer not to download anything then that is fine too, as you can simply log in to your account from your phone by entering the site URL. Not all games will be available in the mobile version of the site, but there is still a great mix of live and arcade games to play when you are on the move. There are not a huge amount of different deposit methods available at Casimba Casino. That being said, since its main target audience is European (judging by the available languages), the options available should be sufficient. These are the two main credit/debit cards – Visa and Mastercard – plus Skrill, Neteller, Paysafecard and Interac Online. The last one is an online bank transfer service which is only available at selected banks. There have certainly been some dodgy online casinos out there, and some of them are still operating today. However, Casimba Casino certainly does not come into that category. This casino is very strictly regulated in both the UK and Malta, so you know you are in safe hands. The latest encrypted software means you can carry out transactions securely. There will be no worries about your personal information being unsafe, and the games on this site operate perfectly fairly and are regularly tested by independent bodies. Customer support for Casimba Casino operates around the clock, seven days a week. Live chat is probably the easiest and quickest way to get an answer to your queries, but email support is also available. The support team is professional and courteous, and we have not uncovered any complaints about them at all. This casino runs a loyalty plan which everyone is invited to join. In fact you get 500 loyalty points just for making your first deposit. There is also a separate VIP programme for high-spending players. Australia, Austria, Belgium, Bolivia, Bulgaria, Cuba, Denmark, Ecuador, Estonia, France, Hungary, Indonesia, Iran, Iraq, Israel, Italy, Latvia, Lithuania, Malta, Pakistan, Panama, Poland, Portugal, Romania, Russia, Serbia, Singapore, Slovakia, Slovenia, South Africa, Spain, Sri Lanka, Thailand, Tunisia, Turkey, Ukraine, United States, Vietnam, . The Casino Gorilla likes a whole lot of things about the fresh and modern Casimba Casino. Excellent selection of great games, a very nice live dealer casino and good security systems are all positives. The bonus is the one area of contention. It is an absolutely enormous offer, but with wagering requirements of 35 times both the deposit and the bonus, it will be very hard to make a withdrawal without some huge slices of luck. That disappointment aside, this is a very impressive new casino. One of the best selections of slot games out there. Here are some games that are totally worth playing - Starburst and Fruit Warp. Not to mention, I’m in love with the mobile experience that this casino provides. One of my favourite thing about this site is the welcome bonuses and all the other various bonuses that the casino offers. I think it is one of the most generous bonuses out there. The 200% match on the first deposit plus 50 free spins is particularly great. I like to play jackpot slots, so was happy to find the games like Mega Moolah and Major Millions. Wish I could land that huge payout, but overall, I have had pretty good luck at Casimba.